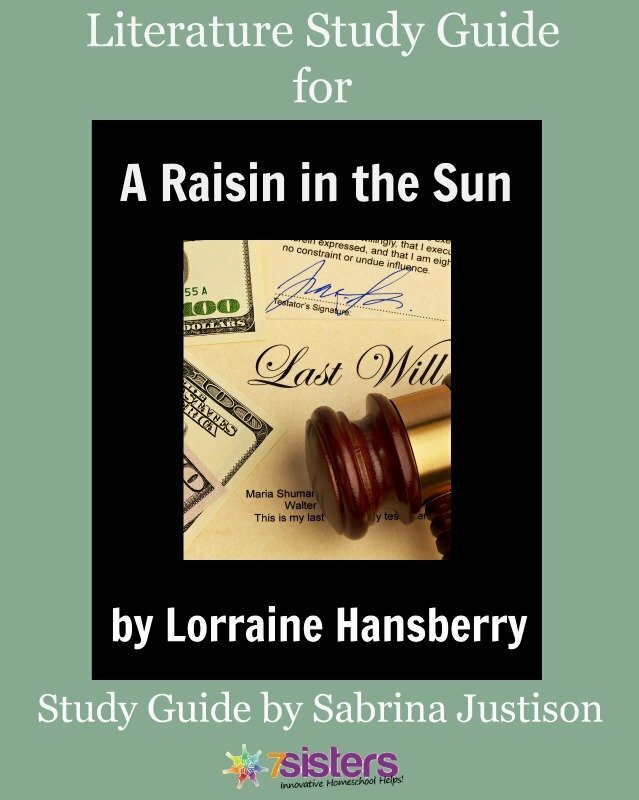 Written to accompany American author Lorraine Hansberry’s iconic story that brought the African American socio-economic struggles of 1950s-era Chicago to the stage, this literature study guide by Sabrina Justison helps you get the most out of A Raisin in the Sun. Literature study guides from 7SistersHomeschool.com inspire students rather than tire them with busywork that kills the story. Instead of attempting to examine every element of a book on the first reading, our study guides choose two or three respected literary devices and use them as a focal point. by choosing to include or omit the enrichment activities and suggested writing assignments. This NO-busywork study guide enriches the reading of the book for your homeschooled high school student. This product downloads as two separate PDF files. One file is intended for student use. This document contains fillable fields so students can type their answers directly into the guide. The other document is the answer key, intended for the parent. Click here to view an excerpt from A Raisin in the Sun Study Guide. Watch this empowering how-to use Facebook Live about 7Sisters A Raisin in the Sun Study Guide. To visit Amazon and purchase a copy of this classic JUST CLICK HERE , or borrow the book from your local library.